Ascending to New Earth is a gradual process, in which, holding a higher frequency is essential for us to navigate between both worlds, for we are still crossing the bridge to our new state of being, one of deep transformation, something that it is done first from within, and that will lead us not to a new destination, for it is not a physical place, but to finally hold a higher frequency. To me, this passage has been strongly felt even before the 11:11 portal, this day is felt as the peak of what we have been feeling since a long time, as in truth, it is not about the numbers, but about the new cosmic frequency that we have been integrating for a while, what matters. A frequency that will keep increasing as we face the powerful New Moon in Scorpio on November 18 as well as final bifurcation phase from Old Earth. This is a passage that brings unity, transparency, and the gift to keep embodying/remembering our true nature as galactic beings. The energies do not last just one day, this is limited and fixed. These galactic activations, that some of us are consciously choosing to experience, will keep being with us, not just until this transitional phase ends, but always, for as ascending souls, we are now embodying our galactic and True nature, and the higher space that our Planet occupies now, is also in perfect resonance with these galactic frequencies that have been for so long outside our human time/space, due to the lower vibrational frequency we held. It is pivotal that at this transitional phase, we take the care our bodies need to keep descending more Light, as well as to take the time to go within, to the depths of our being, to clear all the implants, negative thought forms and many other wounds residing within our emotional body, before we can fully anchor this new frequency from the Illuminated Realms. Within this galactic passage, we will have a New Moon at 26 degrees of Scorpio, in which, its frequency, together with other celestial alignments happening outside of our micro reality, will help us while we keep travelling between worlds, moulding our new reality as well as embodying higher aspects of our True Self, for to me, there is no higher and lower self, and beginning to release these lower vibrational concepts is essential for us to finally leave behind more of our old world. The Fixed sign of Scorpio is also ruled by two of the most powerful Planets, Mars and Pluto. Mars gives us the fiery and Warrior-like energy that we need to initiate the proper changes to shift in our lives, while Pluto - a Planet that is all about power, regeneration and rebirth - activates the necessary shift that needs to occur for us to transform all that is not working - any longer - in our lives, helping us to dissolve our inner struggles, as sometimes all outer conflicts may just reflect inner ones. Precisely, at the New Moon time, there will be a square between Mars and Pluto. This energy, can be felt as "chaotic" but remember Beloveds, the more we step into the Light, the more we will be aware of the many negative tactics that the dark forces use to try to manipulate our reality as humans. This is, as everything within Creation is, an opportunity for us to leave behind all labels of traditional fixed astrology and of the things that Planets cause for us, and begin to move into a broader perspective, remembering that no outer force or planet can do anything to us, but experiencing their own journey through Creation. And even though they affect us, this is not because they dictate our reality but because we are all One, linked to each other, above all illusion of separation. Mars squaring Pluto is for me, a cosmic blessing for us to go within and see where all our inner struggles come from and how we can finally dissolve them, for all conflicts we see in the collective/outer are a representation of what is first created within and hence infused in a group of humans, which again, emphasize this chaotic vibration, feeding them and making them real. However, this can be dissolved by becoming conscious of what we continue to feed and by beginning to work with our egoic self, not but denying its nature or trying to control it, but by infusing it with more wisdom and love - by balancing it with our True Self. Another important aspect from this New Moon, is that the Moon will almost oppose Sedna, the so called "minor" Planet, only discovered in 2003. It is good that this Planet has just been discovered and that there is not much fixed meaning attributed to this Planet, for as you know mythology and astrology is created by humans and as such is limiting and unable to give us a clear notion of this Planet’s essence. On the contrary to the evil meaning, especially by mythology, that is attributed to this Planet, to me, the essence of Sedna, is a kind and loving one. It is meant to work with the collective of a Planet by infusing it with light codes that help them to awake to unconditional love, even if it means to first experience a "chaotic" transition. This is what I have been told by my Unified Self about Sedna´s essence. It is important that we all move inwards to move from this fixed meaning that people, with their best intentions, tend to give to Planets and what happens in the Illuminated Realms that cannot be - easily - explained by the human mind. Sedna, is a transcendental Planet, as is Neptune, for example. Her essence is meant to work with our emotional bodies as well as with Mother Earth´s one and help bring deep transformation by releasing - what no longer serves. Sedna purifies, for it loves All as equal, which is another reason why she is related to climatic change. Well, to me, only humans are responsible for climatic change, not outer forces or Planets, for we are the ones dwelling on this Planet and the only responsible ones of how we treat our Home. It is also said that when Sedna was discovered, it coincided with the increase of temperature of our Planet. What humans see as negative is just the deep infusion of light that recently comes from our Central Sun as well as, for example, other star portals - or Planets - such as Sedna, to help us bring the great change, like the changes occurring now in the Earth's poles, that we are already anchoring and that is indeed shifting not only ourselves but our Planet, and even though its changes will be seen in a long time from now, they are very real and are happening now. Sedna´s frequency, if well integrated and directed, can assist our Planet - and the collective - to embody higher levels of love and regeneration. However, as we all know the fixed meaning of Scorpio, as an astrological sign, and what is occurring at the micro level, it is essential to be fully open as to what is occurring in a deeper perspective. At the New Moon, we have Saturn at the Galactic centre, which is going to invoke profound infusion of light - Divine Wisdom - for those who are working with the transformation and rejuvenation of our physical bodies, as well as inner worlds. It is with this great infusion of light that we are presented with the opportunity to finally embody this light that is being descended to us and work with our non-physical bodies in a deeper way. If you are a Planetary Keeper/Healer, Sedna's essence will assist you to work with the seas and bring assistance to Earth, at a time, when bringing healing, is essential in leaving behind an old frequency. Loving Sedna is inviting you to ask yourself if you walk the talk and take care of not just yourself but the Planet where you dwell, at all levels, of if you still refuse to see reality and continue to unlove it, by treating it badly. At every moment, you have the gift to become aware and begin again, anew, without past regrets, simply with the joy that becoming conscious brings, as well as acting accordingly. For this to occur and for us to act as pure Divine light conduits, first we must spiritualize the self, which is done not just by provoking a deep releasement but by embodying the God Self's values that will help us align ourselves with our true and kind nature. The current frequencies that surround the Planet, at the time of the New Moon - for we have the New Moon quincunx Uranus - will help us to free ourselves from more aspects of our 3D egoic personality, such as delusions and many human creations that are not real or aligned with who we have become. Remember that this is a constant process, and at the same time we work on liberating ourselves from the more negative traits of our old self, the more we could be leaving space and creating the proper frequency to descend more essences of our God Self. With the concept: spiritualizing the self, what I mean is simply the complete regeneration and rebirth that our human self - or egoic one - needs before being able to embody/unify with our God Self. As you already know, the soul needs not purification for it always dwells in the Light of oneness, and its wisdom. On the contrary, what needs to be spiritualized and purified is our human self, which is why we decided to embrace this human experience, between many other things. When one allows the egoic personality to take control, one becomes part of the dark forces or dead energy, for all that remains within the frequency of fear, unlove and unkindness remains in the negative or dark polarity. When we choose to become conscious and take responsibility, we begin to operate within the Divine frequency of love and service to All, and it is then that the spiritualization of our human self begins, and we finally allow our God and real Self to anchor itself within our human one. Non-judgment. By judgment I do not simply mean criticizing openly, there are other ways. If you do not talk but you still see/read some things or people and make gestures of disapproval and/or joke, then you are still judging and therefore lying to yourself. Balance and Harmony. The last one being the most important not to dwell in polarities, for then, we will be falling into the egoic trap of feeling superior and/or inferior. This is a passage to be lived from within - not by searching externally or waiting for salvation or revelations from outer forces but to create from within and expecting to find all the wisdom and answers - that we are so eager to find from outside - within our inner realms. All guidance, all that shall be revealed to you, comes from within. Therefore, I chose this term because I wanted to emphasize the word ‘self’ as something that does not come from the outside, as is often thought when one reads the word ‘revelation’. There is nothing others can tell you that is true that you do not know first - within - or that you do not - first - have a glimpse of. You have been holding the frequency that will allow you to navigate into the timeline you feel will serve your highest Will, during this passage, revelations about where you are going and about what you are already manifesting, are coming, for they are being sent to you, always, you must know where to look, and this is always inside. Your current reality, the space in which you inhabit now, will begin to tell you what you have been creating, feeding and/or denying. If you find outcomes that are not aligned with what you wish to birth, then this is an opportunity for you to shift your perspective, re-focus your intention and master how to direct your energy - so you do not continue to manifest unwanted results, but the true ones that your soul planned for you. There are times when people wait and wait for something to come and bring the change they would like to see in their lives, until they are finally governed by outer circumstances, for if we do not so, we will be giving our power to outer forces to do so for ourselves. In this moment is when all manifestations are created by the power we have given to others to enter and manipulate our own reality. Therefore, it is so important we reclaim and command our sacred space as well as sovereignty, and begin to be conscious of what we allow into our life experience. Until you stop searching in other people - or forces - what you think you should do or not, you will not allow the empowered version of yourself to show you the proper direction - where your soul is desiring you to be. Within this category, to me, enters all the conscious beings working in the service of the Planet. It does not matter what their lineage is, for the only important thing is the deep and pure intention, to help in this transition. From where we come is unimportant, for it is not what is now, only where we are now that matters, for it is from this standpoint that we create the next moment and what is going to occur in it. For all the conscious humans, whether their lineage is from Planet Earth or other civilizations, this is a crucial moment, for us to anchor the fifth dimensional frequency within and therefore in what surrounds us, helping Planet Earth to evolve as well - in our unique way. By the term Galactic Integrators, I try to define the unnamed - the best I can - with our limited human language, I am referring to the Starseed Souls or simply beings who came here from the Illuminated Realms, to assist the Planet. These beings are the ones with specific essences that connect them to certain planes from other dimensions of existence or simply with higher cosmic frequencies that must be integrated within the Planet to be able to help it evolve by simply anchoring their higher frequency, one that is coming from other dimensions of the cosmos, that are meant to raise the frequency of the Planet. Only these beings can do that for they were, before descending a part of their soul into the Planet, already prepared and even keep being adjusted once in the physical, so their bodies can sustain such a higher frequency. They are often placed in certain places which are purer, so they are not affected by pollution and so on, for they act as Earth purifiers - as well as healers - and they must be placed where their energy can be nourished instead of diminished, for it facilitates the work they are meant to do here. For both groups, there will be obstacles, and intents from the dark forces to impede us doing our mission. No one can ever do so unless we lower our frequency. Do not dwell in the frequency of fear, it is already done, we are ascending to New Earth, we just need to be strong enough to hold this frequency. Dizziness and/or vertigo: Occurring when we come back to our bodies after working in the astral, and in other planes of existence, for some of us are already conscious of the many realities in which we also work. This is also coming from the impact that losing density has on us, and the effort our bodies must make to remain stable. Therefore, working on anchoring ourselves is essential to be able to work and function within our physical plane, for it is here where most of our work needs to happen. Oblivion: This happens when we are more conscious of the many aspects of us and of the many timelines we occupy, the number of things we do, in all planes, are not remembered by our - limited - human mind, which tends to mix memories, and which is unable to distinguish the things we think, from the things we do, or even dream. For the mind all is real, so if you find yourself forgetting things or simply think some things that have not occurred yet or that seem real for you but that are not coming from this current timeline of yours, understand the limitation of your human nature to make sense of your eternal essence and of the many things you can be/do at the same time. Pressure in the six and seventh chakras and even the temporary "block" of your ability to receive guidance. This also happens at the beginning of our ascension journey, when we are beginning to constantly release - and adjust again - to a new frequency, or when we experience a deep cleansing and internal shift. Our chakras need to readjust again to the new frequency. Therefore, it may seem you are not able, to receive all the guidance that you used to. 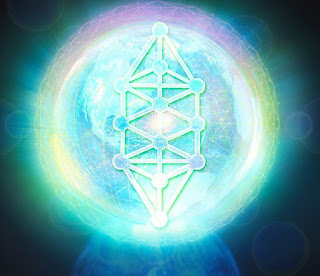 Be patient, keep working with all your physical and non-physical bodily aspects of you, at the proper time, when your body is also ready, these channels will return to their natural state and you will be able to descend more Wisdom than ever before, for you are now purer and more open to receive. Cramps in the spine and/or other similar sensations. This occurs often, for the spine is very important and it is one of the main organs in our body to be affected by our process of integration, for it is where our Kundalini essence resides. So, every time we integrate, our spine sends - to the rest of our bodily organs - the signals for them to integrate, and adjust to our new state of being. As I always say, there are infinite sensations and depending on your mission they will vary. I can only share the ones I am guided to and that are more general, but as always, look within, know yourself, you have all the guidance within yourself you need, you do not need anyone to tell you who you are and what you feel or not. I have received a message from my star family to inform the importance that extra-terrestrial contact is having at this transitional time for some of us who came with this soul mission. There are more and more people, in a conscious and healthy way, not in a delusional one, descending more information about their star lineage as well as about their mission and soul contract of working with certain cosmic companions, to assist the Planet. The information shall be first received by your main and most important guide of all, your Unified Self. You will clearly feel the deep connection, the sense of unity that this connection brings, it is easy, once you know yourself and make of ascension a natural process and your soul mission and desire, to distinguish it from other voices. After this confirmation, make sure you are not being manipulated by others, your own human delusions, or by negative entities trying to appear as if coming from the light. When you can discern about the purity of your connection, the work begins. It may come in different ways, for some it can be physical encounters, for others it can occur when being fully conscious in the astral, as it is in my case, or in your own unique way. All is real, if you are grounded, and do not allow your egoic self to distort this connection and what you receive, for many people fall into their egoic trap and create illusion from this. Contact does not have to be physical, all is real, if you are conscious and hold a pure intention. The messages you receive can help you in your path or mission, as happens to me when I do not know how to put certain crystals - to stabilize - or what symbols I should use, between many other things, or it can be meant for you to share the guidance you received. Some people, there are many famous cases, are meant to write books, give conferences and so on, to inform people in what is - truly - happening on the Planet - simultaneously opening minds. Other times, the communication is meant to assist in healing yourself or using it to work on helping others heal. You will know what is your case, for no one can tell you this. If your human mind does not hold the proper clarity - yet - about all this, let it be, you will be ready at your own time, there is no rush, this is not a race, you are in a perfect place and space, if you try to force, you will slow your process, if you try to escape, you will create anxiety, if you simply flow with it, allowing what is meant to be for you and your journey, at every moment, you are doing exactly what you are meant to be doing and allowing the Divine Intelligence to work through you. This is a time not to wait miracles from the outside world but to recognise the God Self , the Creator, within and begin to remember that the power to create all the blessings we await from outside forces is only within. The time of relying upon others completely has gone. A new Era of conscious co-creation, authenticity and sovereignty awaits for the ones that are empowered enough to stand tall in their light and truth, for those who are not afraid of showing who they are and especially for those who take full responsibility for the frequency they choose to hold, as well as for everything that they manifest. Within a free will realm, as it always has been and always will be, the choice to keep choosing whether to vibrate in the frequency of fear or love, and hence freedom, is and it always will be, yours to make. I wish you all a blessed passage, filled with infinite love and joy, Beloveds!